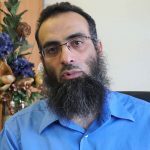 What are the 5 pillars of Islam? Not only does this video present the foundations that Islam stands upon, but it also gives an explanation of them individually. http://facebook.com/QuranWeekly – Join our fan page! If the Sun Rises From The West — A Poem | Ameenah Bint Murtadoh beautifully written. mashaAllah! Allah is Enough for Us, But Are We? Alhamdu li Llaah for Al Jumuah'. A beautiful article. Every time I read something my heart is at ease. Keep up the good work. Salah: Its Prerequisites and Essentials If we perform our Salah on our daily basis so the love of Almighty Allah will start to increase. 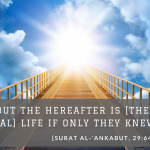 Reviving Abandoned Sunnah Recitations in the Jumu'ah Prayer I have learnt a lot from this article that Allah as it is only through the mercy of Allah that someones proportion of knowledge increases.